After months of hard work in the conception of the brand new LMP3, the Norma M30, the car was on track last week at French race tracks Pau and Nogaro, two circuits close to the Norma Auto Concept factory in the South of France. As announced, French Endurance World Champion and winner of the last 24 Hours of Le Mans with Porsche LMP1, Romain Dumas was the very first driver to take the wheel and complete the very first tests of the Norma M30 LMP3. These ended up being very successful and clearly responding to the ambitious requirements of Norbert Santos (Norma Auto Concept Founder) and his team. 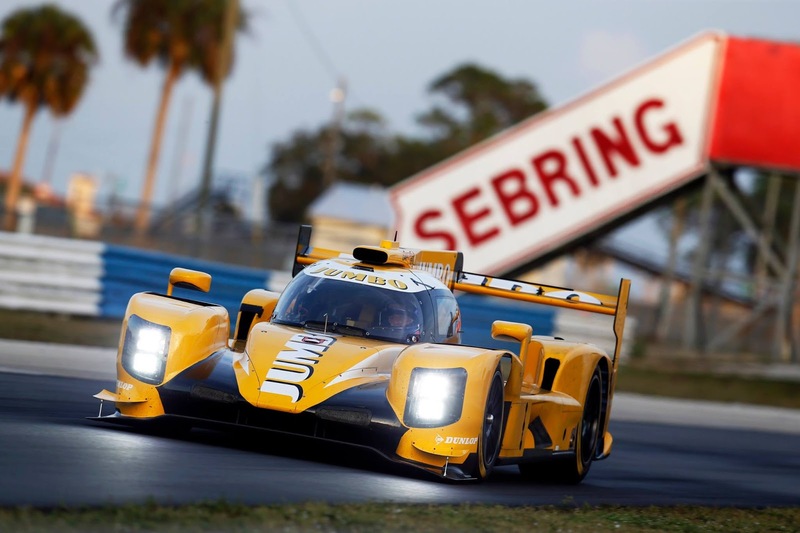 A first Norma M30 LMP3 was sent to Florida (USA), where it will prepare Sebring on different racetracks. Within a few days, additional other Norma M30's will be delivered to the teams preparing European races and championships, such as VdeV Championship and European Le Mans Series. 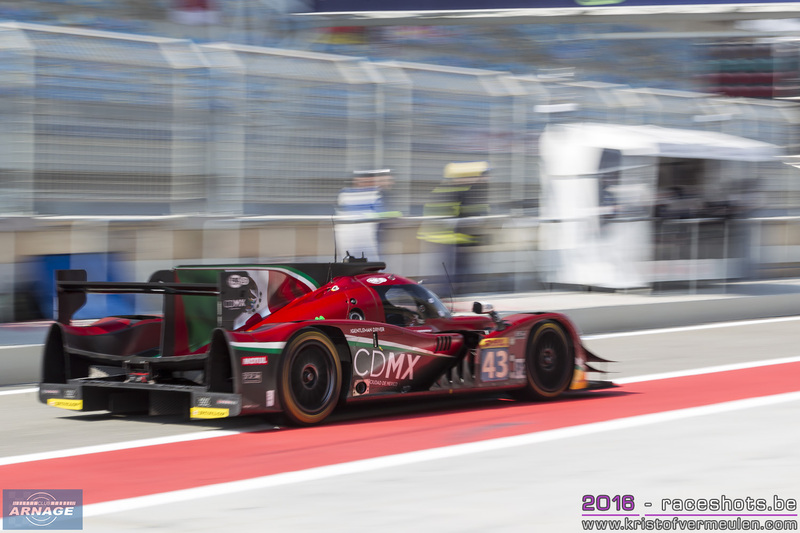 Norbert Santos was happy and proud to finally see his new car on track: "Most of all I am proud of the full Norma team that worked so hard in the last months and also happy for our partners who are engaged in that great project from the beginning." The car was supposed to be finished by the end of 2016, but only came on track for the first time last week. "When you build a brand new car from scratch, you have to be precautionary and respect the objectives of quality you have set to start with. Ours were very important. Yes, we are a little late compared to our initial calendar, but we did respect our ambitious objectives. At Norma Auto Concept, we have always privileged quality, performance and safety to quantity of cars to be sold. It’s true, we wanted to put the car on track earlier, but our will to reach the highest level of performance and reliability and to offer a car that rapidity suits the exigencies of the teams was stronger. Romain Dumas completed the first test sessions, and it clearly looks like we are on the right path to obtain competitiveness and consistency, thus matching our goals, in the very near future." Demands are high for the new LMP3 prototype, with more orders than production capacity in the short term. The priority for Santos and his team is to deliver the cars that have been ordered first. So far, more than ten cars have to be delivered by the end of April. Norma will be present on eacht ELMS and VdeV race to support their clients. At the end of the day, the goal is to see the Norma M30 on the podiums in all the championships on every continent. For other championship all teams can count on a well organised assistance to supply a quality service to them. Romain Dumas tested the car in France on the Nogaro and Pau racetracks in the South of France last week: "These tests were great and very positive, I can’t say any other way. The car’s reliability is just exemplary and impressive. We run without any stops in order to find possible youthful mistakes. In addition, even if I knew the full project and the ambitions of Norma, I was really impressed and surprised to see the high quality of finish of the car." "I was stunned about how the car feels. The front-end of the M30 reminded me the one of the LMP2s a few years ago. It has a wonderful mechanical grip and we did not experience any traction issues, whether with new or old tires." "I am very very happy to have been able to discover Norbert’s car. He has said so much about it, and we have talked it over and over, that I feel very close to it too. Now it's here and I am sure the car will have the success it deserves. The Norma M30 LMP3’s first official race will take place in Sebring, Florida (USA) and soon after in Barcelona Spain on the first VdeV championship and the European Le Mans Series in Silverstone. After several months of rumours and speculation, Gianmaria Bruni now has been officially confirmed as a new Porsche works pro driver. With the signing of Bruni, Porsche has now bolstered its GT works driver squad for their return to the FIA WEC with the new mid-engined 911 RSR. As one of the most successful and experienced sports car pilots, the 35-year-old Italian will undertake tests from June and contest races in the USA from July for Porsche. Bruni won't (be able to) race in the FIA WEC or the 24 Hours of Le Mans this season. The Italian driver, who has been racing with AF Corse since 2012 celebrated his greatest success at Le Mans as well as in the World Endurance Championship WEC. Bruni won the GT class at Le Mans in 2008, 2012 and 2014. 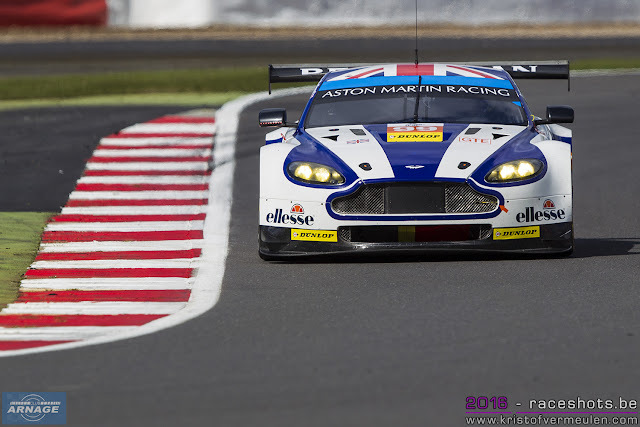 In the WEC he won the GTE-Pro championship title in 2013 and 2014. He was also successful at Sebring, Spa, the Intercontinental Le Mans Cup and the Le Mans Series. 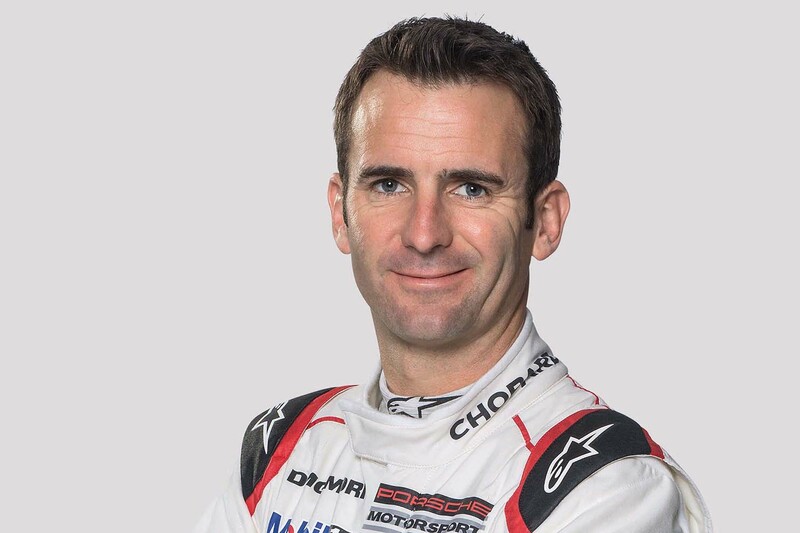 “We’re delighted to welcome Gianmaria Bruni, one of the world’s top GT pilots, into our squad,” says Head of Porsche Motorsport, Dr. Frank-Steffen Walliser. “He fits perfectly into our strong circle of works drivers and will join us for the second half of the season. Alessandro Pier Guidi will replace Gianmaria Bruni in the FIA World Endurance Championship this year. Pier Guidi has been racing with Ferrari for several years, as from this year as a factory driver. He will join James Calado in the #51 AF Corse Ferrari F488 GTE, as was announced yesterday morning by Ferrari. Ferrari held a driver shootout with 4 possible replacement drivers for Bruni earlier this month. Pier Guidi, Alex Riberas, Nyck De Vries and Miguel Molina all took part in the test. De Vries and Pier Guidi emerged as the most suited drivers, the experience of Pier Guidi with Ferrari in the past will have landed him the final seat in the FIA WEC. The Michelin Le Mans Cup will be launched at Portimão with a collective test session on April 22 and 23. All competitors in LMP3 and GT3 will be on track together for the first time in 2017 in preparation for the season opener at Monza on May 14th. This test will also give the teams a chance to discover the Portimão track on which the final race of the Michelin Le Mans Cup and the European Le Mans Series will be held in October. The ELMS teams are also invited to take part in this collective test, one weekend after the opening round at Silverstone. With seven hours of practice available each day, this might help the teams in preparation for their second race in Monza and for those teams invited to the 24 Hours of Le Mans. After the success of the first Road to Le Mans race in 2016, the ACO announced the return of the Le Mans Cup and the addition of a second race as a curtain-raiser to the Le Mans 24 Hours. 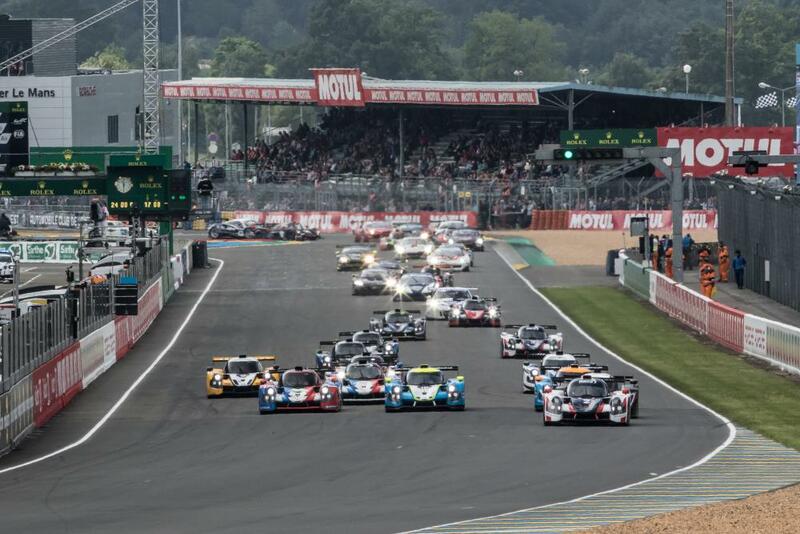 Two races will be reserved exclusively for LMP3 and GT3 cars, with an increased number of entries to 46 cars. The teams racing the full Michelin Le Mans Cup will be automatically accepted for the event at Le Mans. 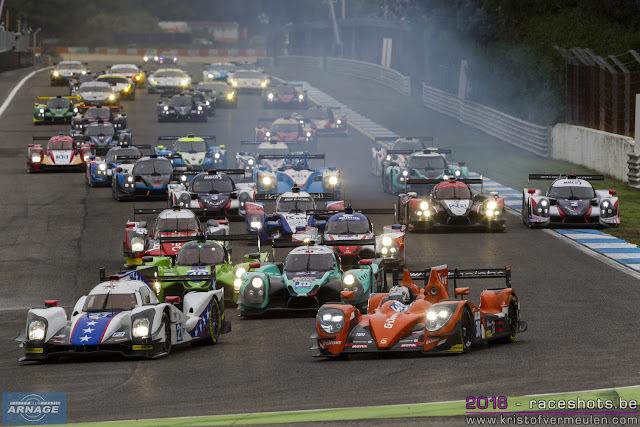 In the selection of the other participants, the selection committee will give priority to teams entered for the European Le Mans Series, Asian Le Mans Series, Asian Le Mans Spring Cup and the WeatherTech Sportscar Championship. - Saturday 17th June: Race 55 minutes (11h30). 2 drivers will be eligible to race, with a minimum driving time of 20 minutes in the race per driver and a pit stop lasting minimum one minute within a defined time window. To comply with the regulations of the Michelin Le Mans Cup, one gold driver is accepted in the driver line-up. The second driver has to be a bronze driver. The entries for the Michelin Le Mans Cup will close on March 7th. Entries for the Road to Le Mans open on March 10th and close on April 6th. Reigning European Le Mans Series GTE Champions Beechdean Aston Martin Racing have announced they will return to the championship in an updated factory Aston Martin Racing V8 Vantage GTE car with Andrew Howard, Darren Turner and Ross Gunn. Andrew Howard, Beechdean AMR team owner and driver, will be teaming back up with Aston Martin Racing Veteran Darren Turner. Howard and Turner, together with Alex Macdowall in 2016, took two race victories in their debut ELMS season on their way to championship victory. 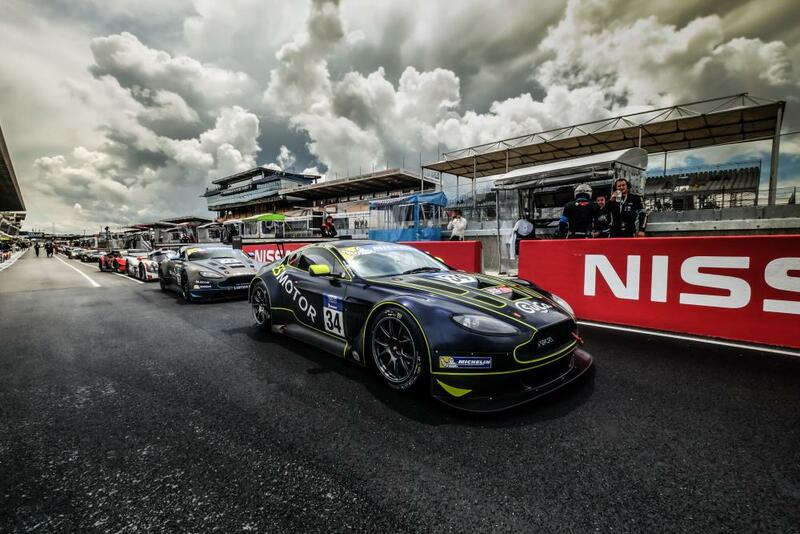 The experienced duo will be joined in the #99 car by Aston Martin Racing Factory driver Ross Gunn. Gunn, 20, will continue with the Beechdean AMR squad for a third successive year, making his ELMS race debut at Silverstone in April. 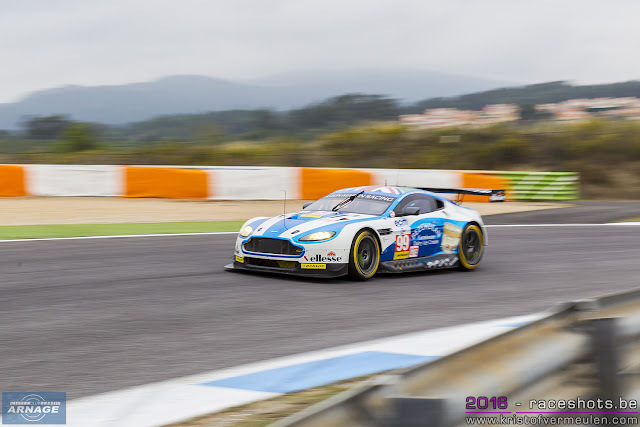 Michelin GT3 Le Mans Cup champions TF Sport will step up to the European Le Mans Series this season with a Vantage V8 GTE, driven by Nicki Thiim, Salih Yoluc and Euan Hankey. Championship titles at home and abroad made 2016 a breakthrough year for TF Sport, but 2017 promises to be truly momentous for the British team, which will step over to GTE-spec machinery for a dream assault on the 24 Hours of Le Mans and the European Le Mans Series. TF Sport has risen to glory relatively quickly since its inception in 2014, winning last year’s British GT Teams’ and Drivers’ titles before making history by sealing the inaugural Michelin GT3 Le Mans Cup and, in doing so, earning a coveted invitation to the 24 Hours of Le Mans. TF Sport will therefore a V8 Vantage GTE in the ELMS for works driver Nicki Thiim, Turkish Am Salih Yoluc and British Pro Euan Hankey. Thiim joins TF Sport as the reigning FIA World Endurance GT Drivers’ Champion who also took Aston Martin Racing to the 2016 GTE-Pro Teams’ title, two years after securing the GTE-Am crowns with the British sportscar marque. ByKolles signs Robert Kubica and Oliver Webb for the 2017 World Endurance Championship. ByKOLLES Racing will start the 2017 World Endurance Championship season with ex-Formula One driver Robert Kubica driving the CLM P1/01 Nismo together with Brit Oliver Webb. The third driver for the FIA WEC races, including the Le Mans 24 Hours 2017, will be announced at a later stage. 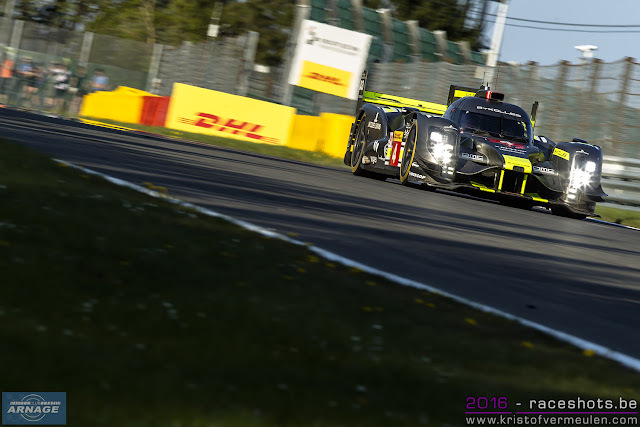 Oliver Webb is known to the private LMP1 team ByKOLLES Racing from his commitments during last season. After many good results in Formula One and several years in Rally, Robert Kubica will return to circuit racing and make his debut in Le Mans in June. New season, new numbers for Toyota Gazoo Racing. Toyota Gazoo Racing’s TS050 Hybrids will wear some familiar numbers in the 2017 FIA World Endurance Championship. 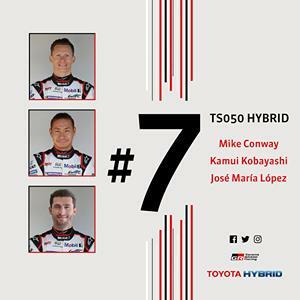 Mike Conway, Kamui Kobayashi and José María López will race the #7 TS050 Hybrid. That number, which recalls memories of legendary Toyota 7 sportscar, was on the TS030 Hybrid when it won the team’s first WEC race in 2012. Sébastien Buemi, Anthony Davidson and Kazuki Nakajima will compete with the #8 car. 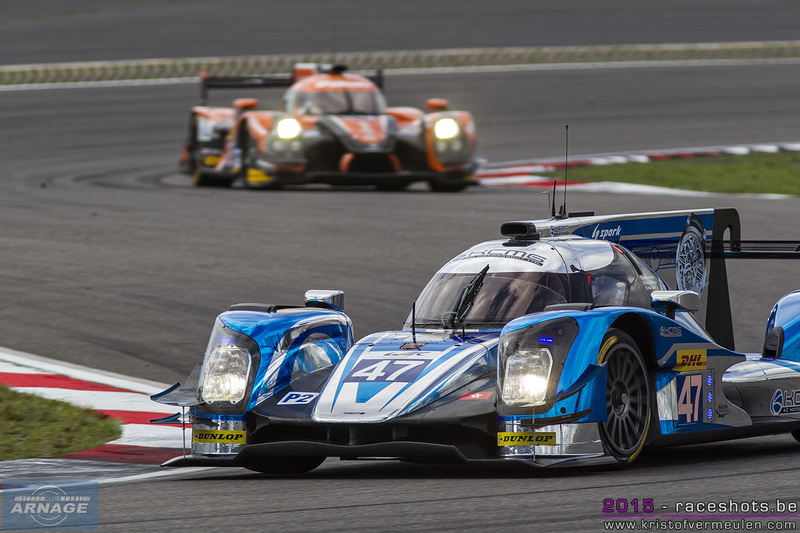 Sébastien and Anthony have a strong association with that number, having won the 2014 drivers’ World Championship at the wheel of the #8 TS040 Hybrid. The numbers seven and eight are traditionally associated with Toyota at Le Mans. Toyota cars have featured those numbers, often as #37 and #38, in 13 of the manufacturers’ 18 years of Le Mans competition. At Spa-Francorchamps and Le Mans, a third car, led by Stéphane Sarrazin, will wear #9. A number Toyota has never races at Le Mans, although in 1998 Thierry Boutsen, Ralf Kelleners & Geoff Lees drove the #29 TS020. After last years win in the LMGTE-Pro class, Ford returns with 4 GT's to Le Mans in June. The Ford Chip Ganassi Racing team’s 2016 victory came 50 years after an historic 1-2-3 finish for Ford at the 1966 Le Mans 24 Hours. Ford also won the race in 1967 when Dan Gurney (US) and A. J. Foyt (US) piloted the Ford GT40 to victory, giving the team another target to hit this time around. 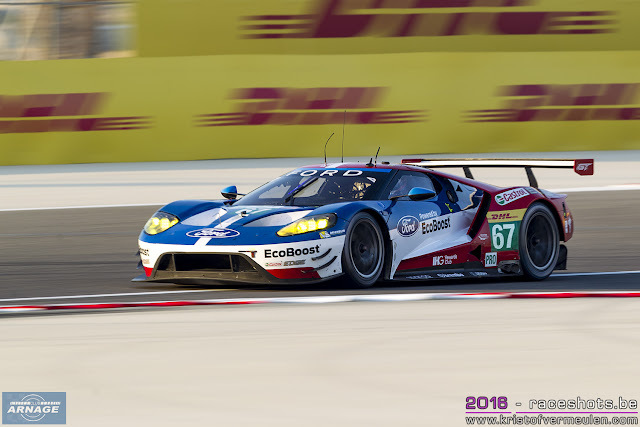 The Ford Chip Ganassi Racing team will again field a strong team of drivers to defend its 2016 LM GTE Pro class win. New to the team for 2017 is young Brazilian, Luis Felipe "Pipo" Derani, who will join Andy Priaulx (GB) and Harry Tincknell (GB) in the #67 Ford GT for the FIA World Endurance Championship races at Silverstone, Spa and Le Mans. The 23 year-old came to Ford’s attention in 2016 when he won the Rolex 24 At Daytona and the Sebring 12 Hours on his debut, marking himself as one to watch. The other driver line-ups will remain unchanged. Olivier Pla and Stefan Mücke will race the #66 and joined by Billy Johnson in Silverstone, Spa and Le Mans. The #68 Le Mans winning car will be driven again by Seb Bourdais, Joey Hand and Dirk Muller. Richard Westbrook, Scott Dixon and Ryan Briscoe will be at the wheel of the #69. 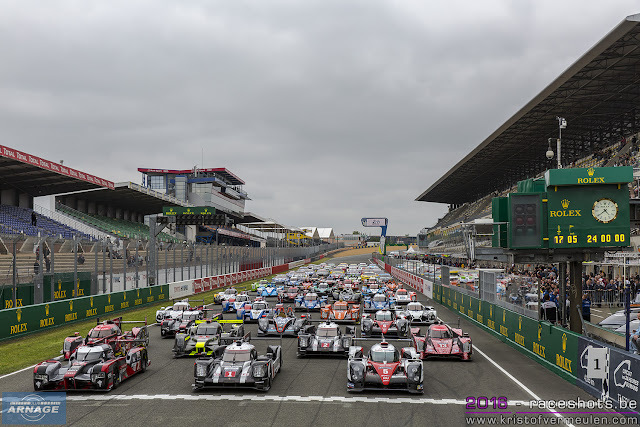 60 cars will be at the start of the 85th 24 Hours of Le Mans on June 17th. 31 prototypes and 29 Gt's will fight for victory in what's probably the most beautiful race on earth on one of the most demanding race tracks around. 39 teams representing 16 different countries from all over the world will be racing at La Sarthe. They will be split up in four categories: 6 LM P1s (Le Mans Prototype 1), 25 LM P2s (Le Mans Prototype 2), 13 LM GTE Pros and 16 LM GTE Am. Mark Webber has been appointed as Grand Marshal for this years race. Here's a first look into the invited teams, cars and leading drivers. The list of invited cars and competitors can be downloaded here. 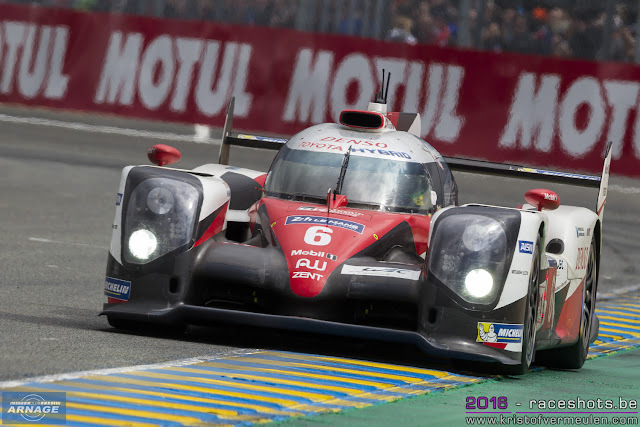 After last years heartbraking end for Toyota Gazoo Racing, the Japanese team returns to Le Mans in full force to finally claim that victory they have been chasing for many years. Toyota will field three revised TS050 Hybrids to counter attack Porsche who will be eager to score their third win in a row. The #7 and #8 cars will feature the same driver line-up as in the World Endurance championship with Mike Conway, Kamui Kobayashi and newcomer José María López in the #7. The second car (#8) will be driven by Sébastien Buemi, Anthony Davidson and Kazuki Nakajima. Stéphane Sarrazin won't race the full WEC championship, but will take the leading drive in the third car at Le Mans (#9), with the two other drivers still to be confirmed. 2 Porsche 919 Hybrid's will be on the grid next June. Almost immediately after last season's finale in Bahrain, Porsche started testing their upgraded 2017 spec car. The #1 car will be driven by Neel Jani, André Lotterer and Nick Tandy. Timo Bernhard has control over the #2 Porsche and will be joined by two "Kiwi's": Brendon Hartley and Earl Bamber. The only remaining car in the LMP1-L class is the ByKolles ENSO CLM P1/01. Now powered with the Nismo engine of the GTR-LM and with substantial upgrades, the Austrian team is working onto a far more reliable and competitive package. With Robert Kubica as their lead driver, there will be no shortage of attention for the team at Le Mans and in the WEC. A record field of 25 brand new prototypes will make a record field of 25 cars. All 4 LMP2 manufacturers will be pesent on the grid in June. 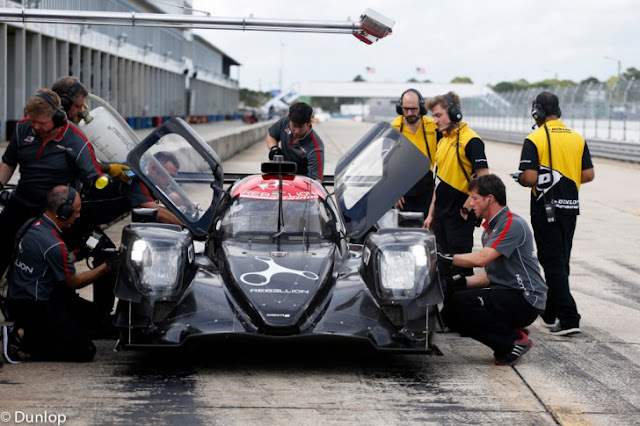 Oreca has an numerical advantage with 15 cars. 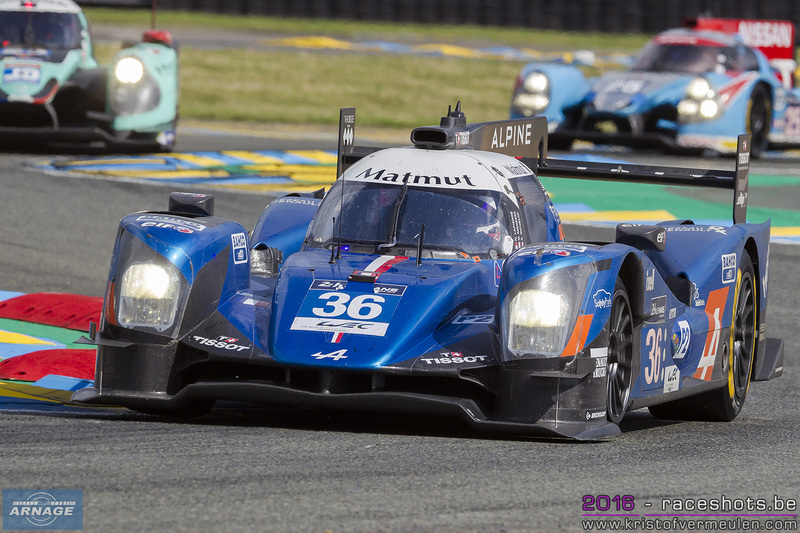 Signatech Alpine Matmut will lead the LMP2 field, defending their 2016 win in the class. 2 rebadged Alpine A470 will be fielded for Stéphane Richelmi and Nicolas Lapierre. G-Drive Racing also returns with two cars to La Sarthe, Memo Rojas and Roman Rusinov the appointed as lead drivers. Last year's debutants Manor are also back in the WEC and Le Mans with a 2 car effort as CEFC Manor TRS Racing. Tor Graves and Roberto Gonzalez have been selected as drivers. Coming over from LMP1-L is Rebellion Racing with 2 Oreca's under the Vaillante-Rebellion flag, the return of Michel Vaillant to Le Mans. A stellar driver line-up already has been confirmed by the team, led by Nelson Piquet Jr and Nicolas Prost. Dragonspeed 10-Star who made an impressive debut in the European Le Mans Series last year will debut at Le Mans, Hendrik Hedman is the first confirmed driver for the team. Jackie Chan DC Racing will be at the WEC and Le Mans with two cars this season. After a collaboration with Signatech last year, the Chinese team will now be supported by Jota Sport. 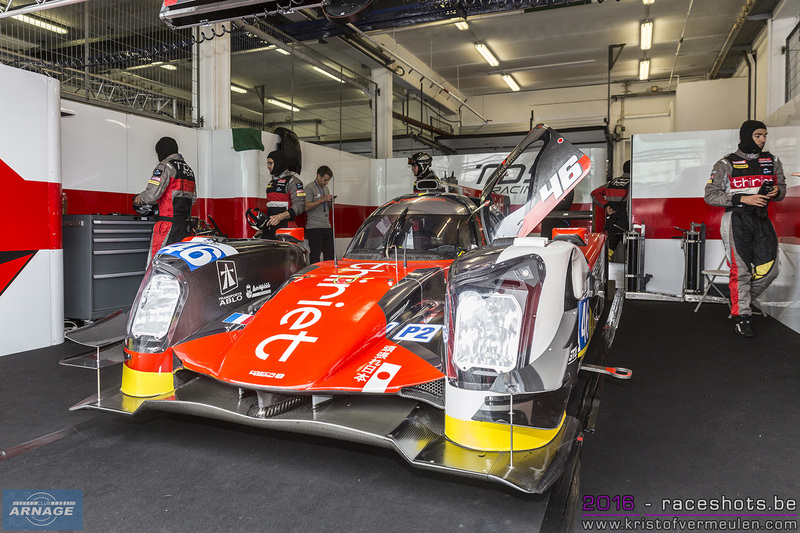 2 Oreca's will be on the grid, David Cheng and Ho-Pin Tung have been appointed as lead drivers. French team Graff Racing which has a rich history at Le Mans with 11 starts between 1980 and 1993 returns to the 24 hours with 2 cars. Both cars entered in the ELMS will race at La Sarthe, with James Allen and Enzo Guibbert as their first confirmed drivers. ARC Bratislava is a new team in LMP2 and has been racing a pair of Ginetta LMP3's in the Asian Le Mans Series. 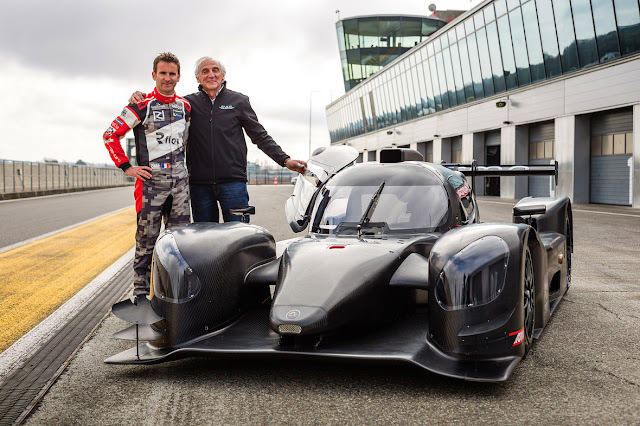 For their debut at Le Mans, they will also run an Oreca07, with Miroslav Konopka as lead driver. Six Ligiers JSP217 are invited for this years Le Mans 24. Panis-Barthez Competition returns to Le Mans with a new Ligier and Fabien Barthez at the wheel. Another team returning is Algarve Pro Racing who also acquiered a JSP217 and have Mark Patterson on board for Le Mans. Debutants at Le Mans are IDEC Sport Racing with Patrice Lafargue, Tockwith Motorsports with Nigel Moore and last year's European Le Mans LMP3 champions United Autosports (William Owen). All three teams are combining a full season ELMS campaign with Le Mans. 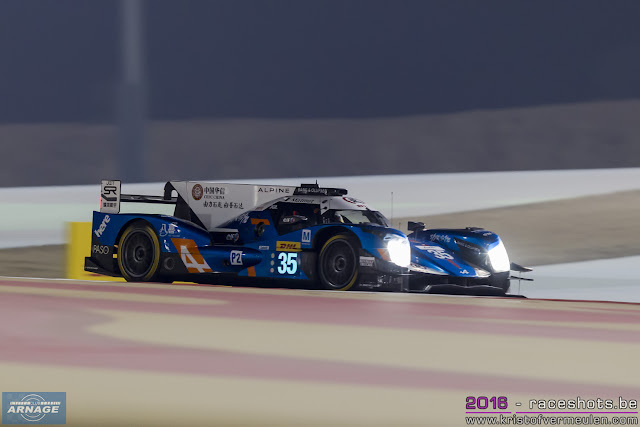 Eurasia Motorsports returns to Le Mans, but have traded in their Oreca05 for a Ligier JSP217. Their leading driver will be Sir Chris Hoy, who will make his second appearance in the 24 hour race. 3 teams running the Dallara P217 have been invited. SMP Racing will run the #27 Dallara P217 ahead of their scheduled entry in the LMP1 class in 2018. 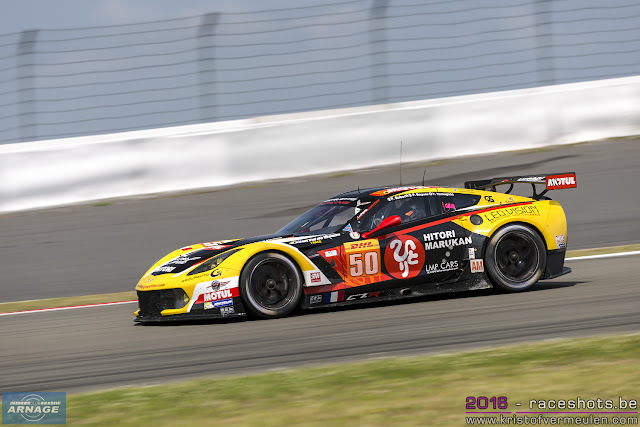 Racing Team Nederland is a new team which makes its debut in the European Le Mans Series and Le Mans with Jan Lammers (ready for his 23th start at Le Mans) and Rubens Barichello behind the wheel. The third Dallara will be run by Cetilar Villorba Corse who will also race in the ELMS. A single Riley MK30 has been invited for Keating Motorsports. Ben Keating raced for the first time at Le Mans last year with Murphy Prototypes and now returns with his own car to the French classic. The team of Visit Florida Racing who is racing a Riley in the WeatherTech Championship will support the Texan in his new adventure. 13 cars will race in the LMGTE-Pro class, where the return of Porsche GT is the headline this year. 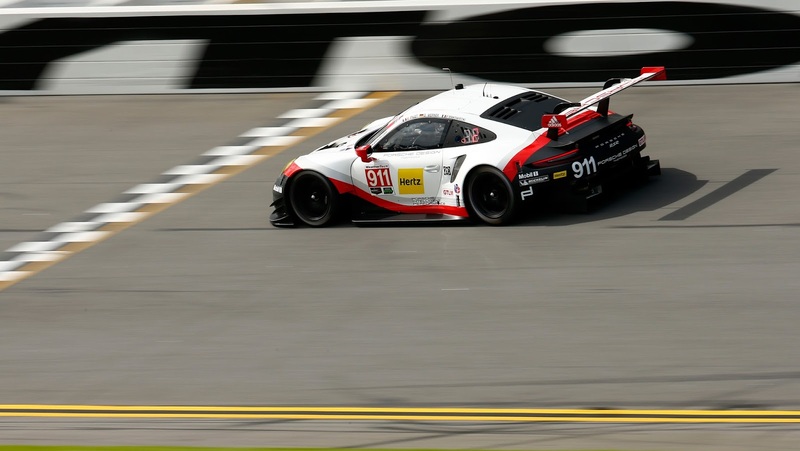 The new 911 made his 24 hour-debut at Daytona last week and immediately got onto the podium. Porsche returns with his all new, mid engined, 911 RSR. A two car effort led by Richard Lietz and Michael Christensen. 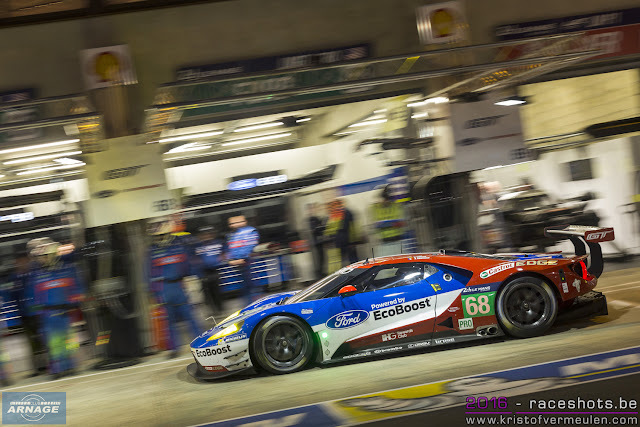 Last year's Le Mans winners Ford are back at La Sarthe with 4 cars. Two cars competing in the FIA World Endurance championship (Stefan Mücke and Andy Priaulx) and their 2 Ford GT's which are racing in the IMSA WeatherTech championship (Joey Hand & Ryan Briscoe). Corvette Racing makes his yearly pilgrimage to France with two C7.R's. Jan Magnussen and Oliver Gavin again appointed as lead drivers. Also two cars for Aston Martin Racing, with Nicki Thiim and Darren Turner up for driving duties. The final manufacturer in the Pro class is Ferrari. Both AF Corse's Ferrari F488 GTE's will be back in June, driven by James Calado and Davide Rigon. The third invited car is the Risi Competizione of Toni Vilander. Cars who are over one year old are eligible in the LMGTE-AM category, meaning the Ferrari 488 will make its debut in the class, competing against Porsche, Aston Martin and Corvette. 8 out of the 16 cars are Ferrari's. JMW Motorsport (Robert Smith) which returns to Le Mans after not being invited last year are the only team with an "older" Ferrari F458 Italia on the list. American team Scuderia Corsa returns to Le Mans with 2 Ferrari 488's, the first for Christina Nielsen - who made her debut last year with Formula Racing - the second for Cooper Mac Neil. WEC debutants Clearwater Racing, who raced at Le Mans for the first time last year, now have been granted an invite for 2 cars. Matt Griffin and Wen Sun Mok have already been appointed as drivers. Another team coming over from Asia is Hong Kong based DH Racing, with a single Ferrari 488 for Riccardo Ragazzi. The final 2 Ferrari's will be fielded by Swiss team Spirit of Race; a new team in the ELMS with support from AF Corse. Leading drivers will be Thomas Flohr and Duncan Cameron. 4 Porsches have been invited this year. 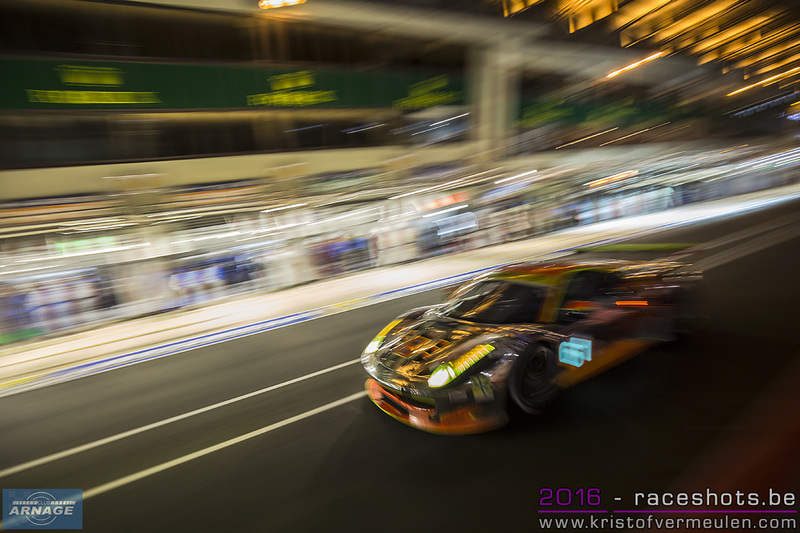 Proton Competition is leading the Porsche field with two 911 RSR's for Patrick Long and Wolf Henzler. Joining the German team is Dempsey Proton Racing with Christian Ried and Gulf Racing UK for Michael Wainwright. Aston Martin will have three cars on the Am grid. Paul Dalla Lana returns to the WEC and Le Mans with his Vantage V8. 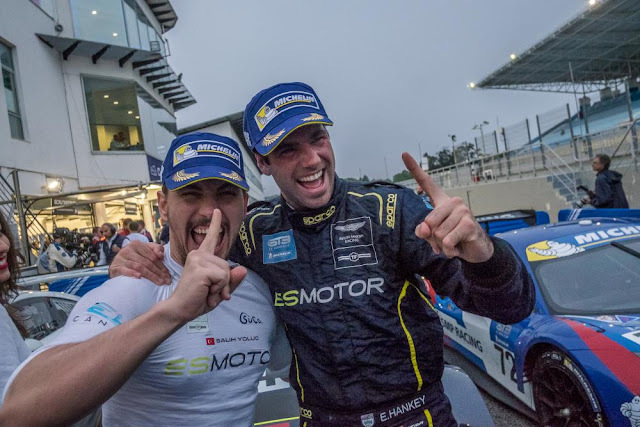 He will be joined by ELMS GTE-Am champions Beachdean AMR of Andrew Howard and last year's Michelin Le Mans Cup champions TF Sport and Salih Yoluc. 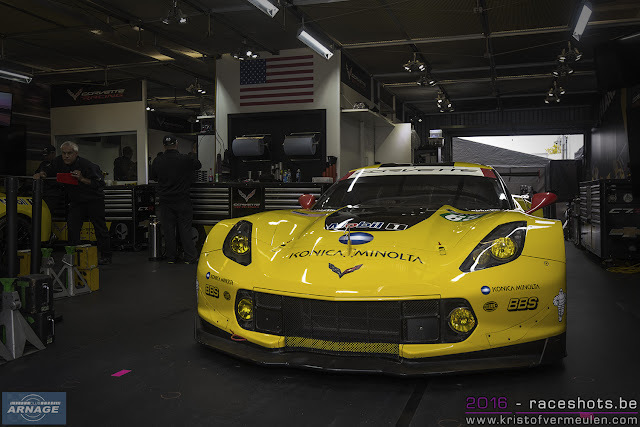 Larbre Competition will field the only Corvette C7-Z06 in the Am class, with Ricky Taylor as first confirmed driver. Only 2 cars have been listed as reserves this year. RLR M Sport in LMP2 with a Ligier JSP217 and Mentos-Proton Racing in LM GTE-AM with a Porsche 911 RSR. 28 cars will make up the full season FIA World Endurance Championship entry list for the 2017 season. 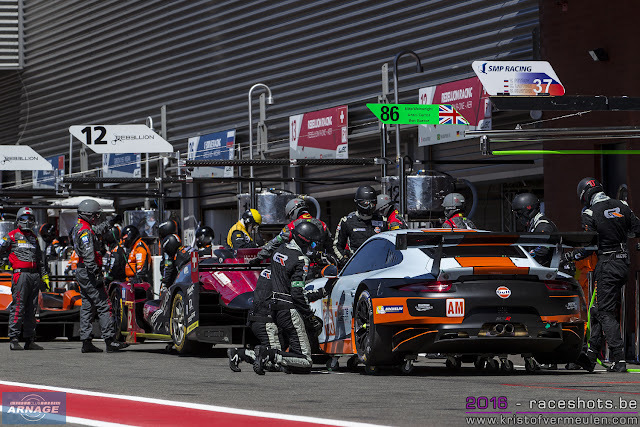 11 different nations will be on the grid, offering proof that the WEC continues to attract teams from across the globe wishing to compete at the highest level in endurance racing. A well balanced, stable calendar is one of the keys to this magnetic appeal for manufacturers and teams, as are regulations which promote strong technological competition and innovation, at the same time as controlling any escalation of expenditure. In LMP1, Toyota will challenge Porsche again in the battle of hybrid technology. Two-time World Champion Porsche returns with revised 919 Hybrid's and will be more than prepared for the battle ahead with Toyota in 2017. Toyota will also run 2 cars during the championship, except for Spa and Le Mans where a third TS050 will be on the grid. After their misfortune at Le Mans last year, the Japanese team will do everything possible to cross the line first after 24 hours. ByKolles is the only privateer team in LMP1 this season. A further development of their ENSO CLM P1/01 and the switch to Nismo powered engines should give them better prospects after a challenging 2016. 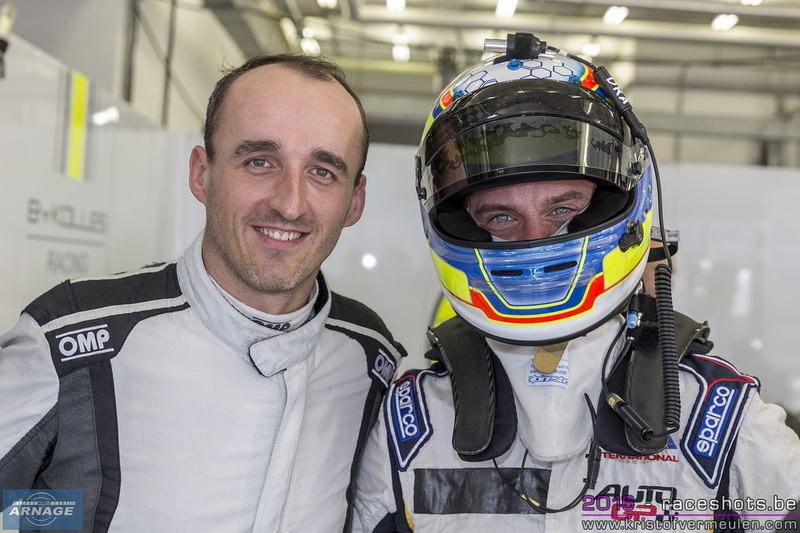 Robert Kubica will race the entire WEC championship and make his debut at Le Mans. 10 Oreca 07's will dispute the LMP2 championship this season. 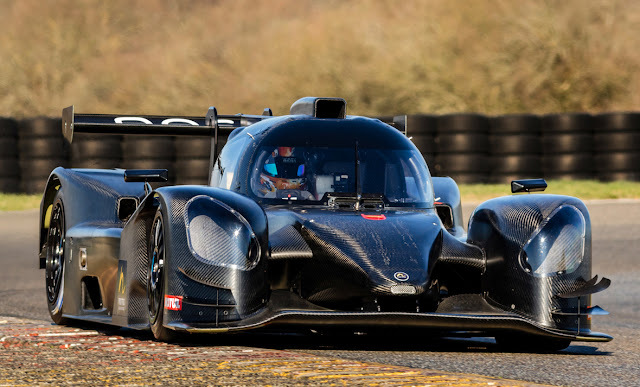 4 manufacturers have been selected to build the new LMP2 prototypes, but all teams present in the World Endurance Championship have chosen to race the Oreca07. Signatech Alpine Matmut will defend its 2016 title with 2 rebadged Alpine A460's, with Nicolas Lapierre and Stéphane Richelmi as lead drivers. Manor also returns under the flag of CEFC Manor TRS Racing and wil race 2 cars, Tor Graves and Roberto Gonzalez have been appointed als their leading drivers. Jackie Chan DC Racing enforces its appearance in the World Endurance Championship and will field 2 cars, supported by Jota Sport. David Cheng and Ho-Pin Tung will be the lead drivers in one car each. 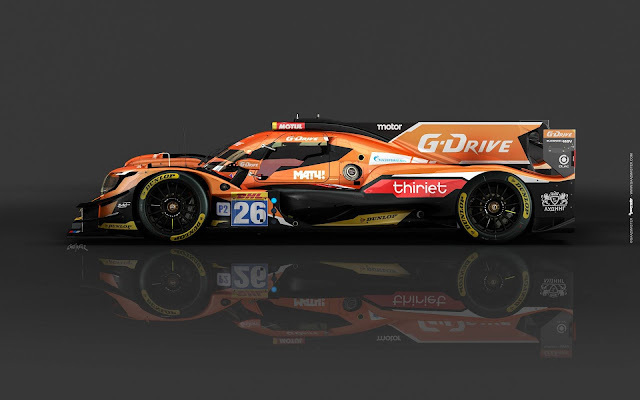 G-Drive Racing is the final team returning to the WEC, with Roman Rusinov and technical support of TDS Racing. LMP2 will also see a few new teams arriving in the class this year. First up is Swiss team Rebellion which makes the switch from LMP1-L to LMP2. 2 Vaillante Rebellions will be on the starting grid, both with a stellar driver line-up. Stepping up from the European Le Mans Series is French Team TDS Racing who will make their debut in the FIA WEC with the Oreca07 and will be supporting G-Drive Racing also. Porsche GT returns to the GTE-Pro ranks with two new Porsche 911 RSR and will battle with Ferrari, Ford and Aston Martin. Boosted by the creation of the FIA World Endurance Championship for GTE Drivers and Manufacturers, the competition in the LMGTE Pro class will be hotter and tighter than ever. 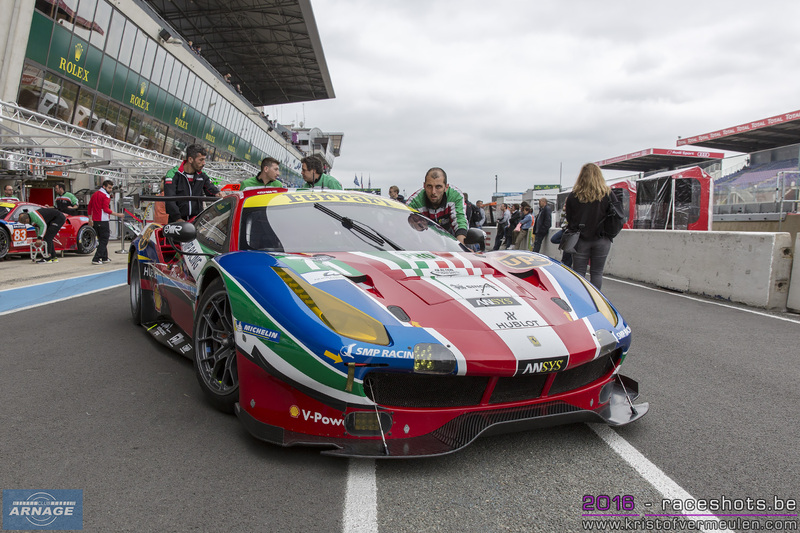 Challenging Porsche for the championship will be two Ferrari 488 GTEs from AF Corse, looking to repeat the Italian manufacturer’s success of recent years, two of the Ford GTs from Ford Chip Ganassi Team UK which were introduced in 2016 and immediately won Le Mans, and two Aston Martin Vantages from the British manufacturer for the model’s final year before a new one is introduced in 2018. 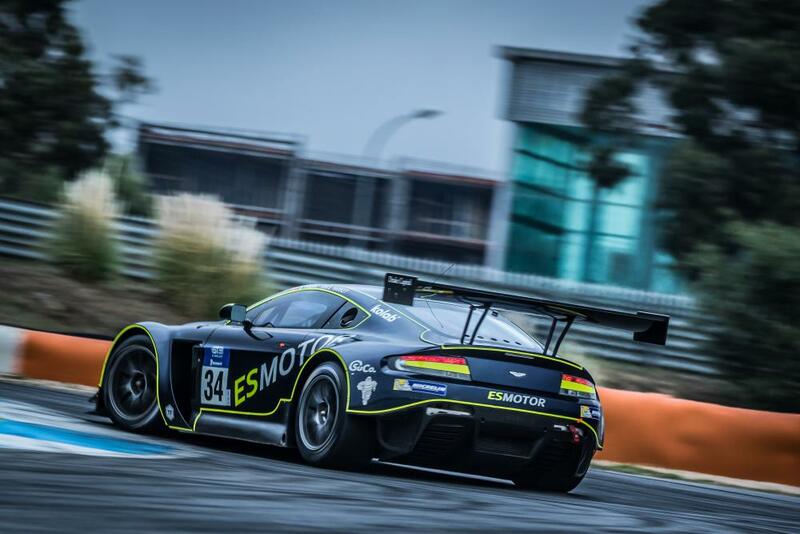 In the LMGTE-Am class, 3 different marques along 5 entries will race in the World Endurance Championship. Clearwater Racing from Signapore is a new team, emerging from the Asian Le Mans Series after their debut at Le Mans last year. They will run a Ferrari F488 for Weng Sun Mok. Paul Dalla Lana returns to the Am class with his Aston Martin Vantage V8. 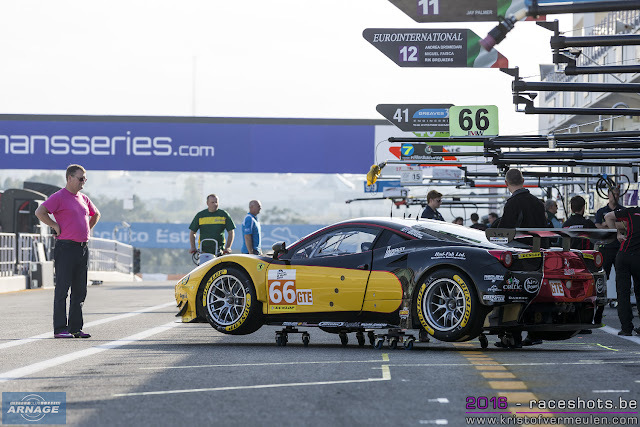 Another new team in class is Swiss Spirit of Race who will be running a Ferrari F488, supported by AF Corse. Finally 2 Porsches 911 RSR will complete the 2017 grid with Dempsey-Proton Racing and Gulf Racing UK who will run their second season in FIA WEC. The WEC calendar features nine rounds across five continents, with the third round being the 24 Hours of Le Mans – the jewel in the crown of international endurance racing. The season opens with the 6 Hours of Silverstone on 16 April, moves on to Spa-Francorchamps (6 May), Le Mans (17-18 June) and the Nürburgring (16 July) in Europe before heading overseas to Mexico (3 September), Circuit of The Americas, Austin (16 September), Fuji (15 October), Shanghai (5 November) and Bahrain (18 November) for the second half of the season. Jean Todt, President of the Federation Internationale de l’Automobile: “The 2017 season will be the sixth of the successful partnership between the FIA and the ACO which has seen the FIA World Endurance Championship grow to the prominent position it holds today in world motor sport. The strong grid announced today will strengthen this position further and will undoubtedly be the focus of some intense battles and drama over the coming nine races. “In LMP1 Porsche will defend their world and 24 Hours of Le Mans titles, while Toyota is looking to build on the successes of 2016. 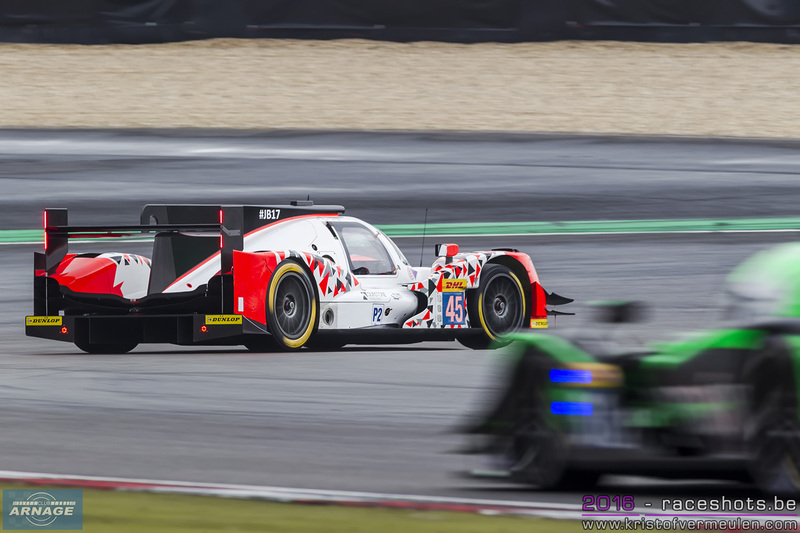 In addition, four manufacturers will be competing for the new FIA World Endurance Championship for GTE and LMP2 is revitalised with the new technical regulations coming into effect this season. 36 cars have been announced today for the 2017 European Le Mans Series championship. With 13 cars in LMP2, 16 in LMP3 and 7 in LMGTE, a very strong and varied grid will take the start of the season in Silverstone. LMP2 begins a new era in 2017 with new technical regulations and 4 new cars, all powered by a Gibson engine. The 2017 ELMS grid will feature three of these manufacturers with four Dallara P217s, five Ligier JSP217 and four Oreca07s. G-Drive Racing returns to the European Le Mans Series to defend their 2016 title, with Memo Rojas named as their lead driver. Other teams running the Oreca chassis will be 2016 race winners Dragonspeed and LMP3 Vice Champions Graff moving up to LMP2 with two cars. 2016 LMP3 Champions United Autosports will be running a Ligier JSP217 in the LMP2 class in which they will also compete at the 24 Hours of Le Mans. Panis Barthez Competition returns to the ELMS with Fabien Barthez back for his second season of prototype racing in the new Ligier. 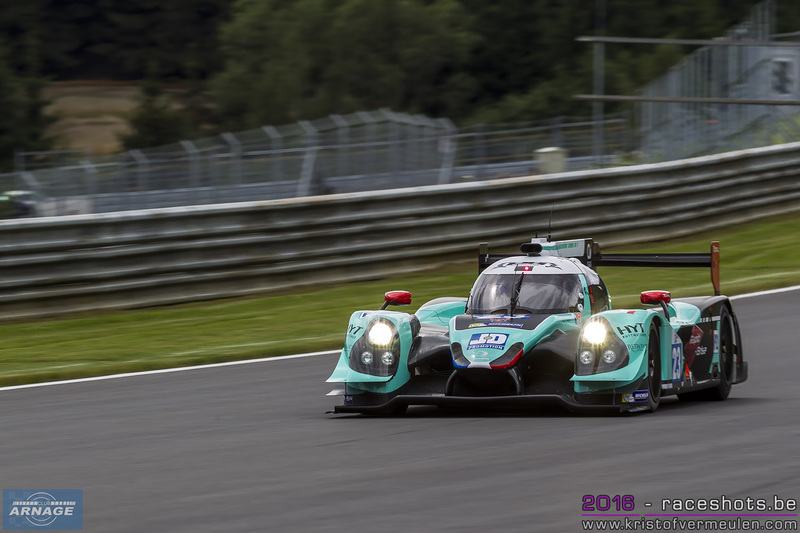 2 other teams returning to the ELMS are Algarve Pro Racing and IDEC Sport Racing with the new Ligier. Tockwith Motorsports is the final team running a Ligier, they step up from the LMP3 class after an impressive run at the final races of the season and clinching the Asian Le Mans Series title in LMP3 last month. 4 teams will run a Dallara chassis. SMP Racing is the first team running the Italian made prototype with Mikhail Aleshin being named as the lead driver in the #27 car. Italian team Cetilar Villorba Corse move up from LMP3 to LMP2 for the 2017 season with Dallara, while Jan Lammers returns with Racing Team Nederland and a new Danish team, High Class Racing, completes the LMP2 grid. 16 cars will feature on the full season LMP3 grid this season. Fourteen teams will run the title winning Ligier JS P3-Nissan. M-Racing-YMR are entering two cars, one being the new Norma M30 chassis, as is Italian Oregon Team with a Norma M30. United Autosports will run a two car effort to defend their 2016 title with Mark Patterson leading the driver line-up. Duqueine Engineering will also return with two Ligier JS P3s after a successful first season. Other teams returning to the European Le Mans Series are BySpeed Factory (Spain), 360 Racing (UK), Eurointernational (USA), Inter Europol Competition (Poland), RLR Msport (UK), Panis Barthez Competition (France) and Ultimate (France). A new team in the LMP3 class is Austrian AT Racing , moving up from the GTE class with a Ligier for Alexander Talkanitsa. 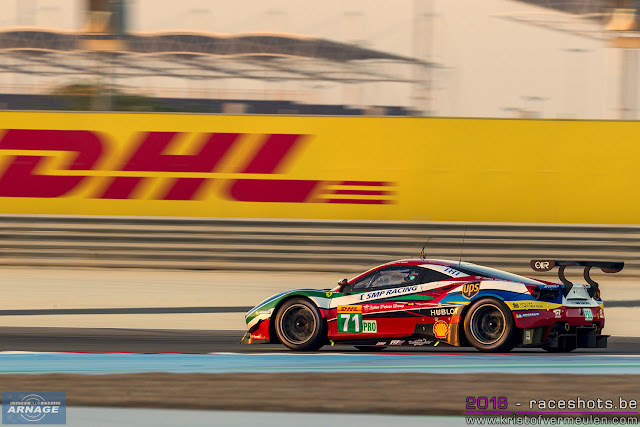 3 constructors will battle each other in the LM GTE class: Porsche, Ferrari and Aston Martin. 7 cars will be on the LM GTE grid this year. Three Ferrari's, two Porsches and two Aston Martins will be fighting for class honours this season. 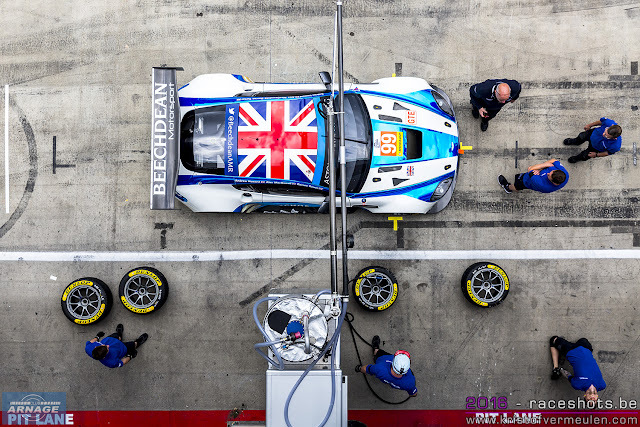 Reigning champions Beechdean AMR also return to defend their title with Andrew Howard being named as the lead driver in the #99 Aston Martin Vantage. Last years runner up JMW Motorsport will also be back again in their Ferrari F458 Italia with Rob Smith named as lead driver. Two new Ferrari F488 GTEs will be on the ELMS grid in 2017 with Italian team Spirit of Race running the cars for Gianluca Roda in the #51 Ferrari and Duncan Cameron in the #55. Proton Competition will run two Porsche 911 RSRs with Christian Ried in the #77 car and Wolf Henzler in the #88 car. The 2016 Michelin GT3 Le Mans Cup Champions TF Sport will step up to the European Le Mans Series and enter the second Aston Martin V8 Vantage with Salih Yoluc as lead driver. 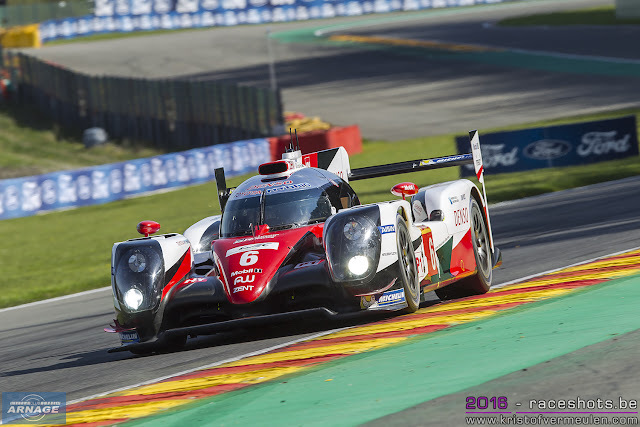 Toyota Gazoo Racing has confirmed an expanded driver line-up for the 2017 FIA World Endurance Championship (WEC) as part of its three-car entry in selected races. José María López joins for 2017 and will compete alongside WEC race winners Mike Conway and Kamui Kobayashi. José María, 33, competed in GP2 before moving to the World Touring Car Championship where he won the last three titles. The 2014 drivers’ World Champions Sébastien Buemi and Anthony Davidson will again team up with Kazuki Nakajima in the second car. Stéphane Sarrazin, part of the TOYOTA WEC team from the start of the project in 2012, retains a significant role and will bring the benefit of his experience to the team’s third car entry as lead driver. The team is still assessing its options for his two team-mates, with a decision expected soon. The cars and team will be presented at Monza on March 31st, prior to the two-day official test for all WEC participants at the Italian circuit. Less than 24 hours before the presentation of the entry lists for FIA WEC, ELMS and the 24 Hours of Le Mans, so here's our final round up and prediction for the 2017 season ... LMP1 and LMP2. Year 1 after Audi ... that's how the LMP1 class in the FIA World Endurance Championship feels right now. 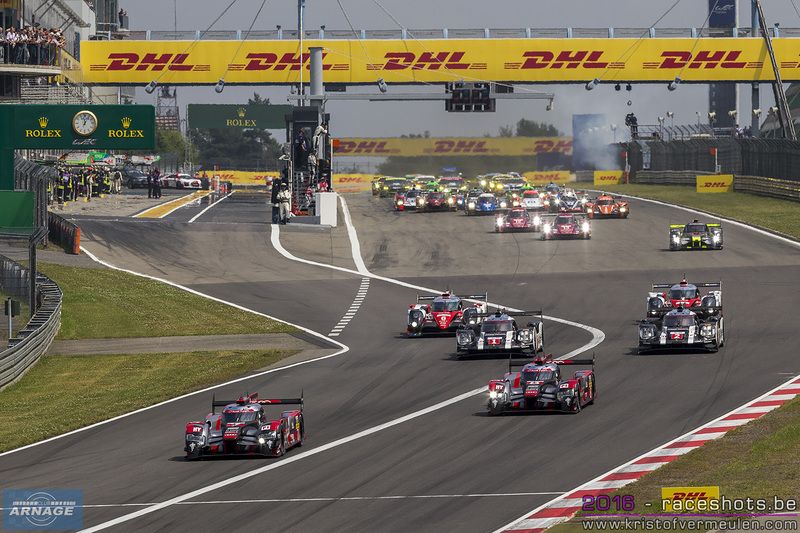 With the departure of the German brand, only Porsche and Toyota remain in the top class of the FIA WEC. The LMP1-H rules have now been freezed by the ACO and more cost cutting measures have been published to make the class more appealing to possible new manufacturers. One of those is Peugeot, which has been lurking to get back into endurance racing for some time now, but is still holding back with the high development cost in mind. 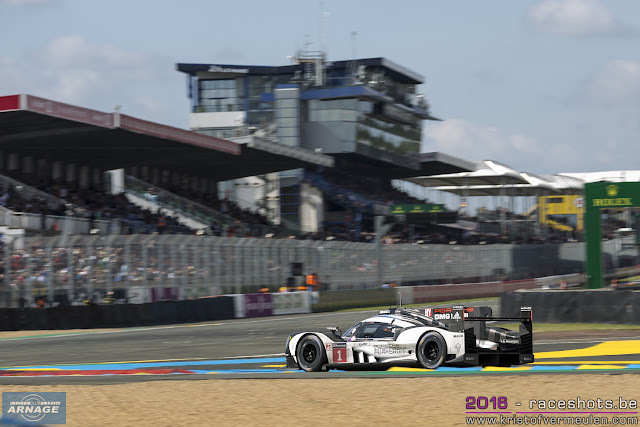 Porsche defends its World title and Le Mans victory with two revised Porsche 919 Hybrids. At the end of last season, Porsche announced a major driver reshuffle in its LMP1 program. Mark Webber retired and is now ready to take up his new role as Porsche ambassador. 2 more drivers won't return to the Porsche 919: Romain Dumas and Marc Lieb. They will be replaced by André Lotterer and 2015 Le Mans champions Earl Bamber and Nick Tandy. Porsche's driver line ups for 2017 will look like this: Neel Jani will be joined by André Lotterer and Nick Tandy in the #1 car, Timo Bernhard will be in control of the #2 car with Brendon Hartley and Earl Bamber next to him. A third car at Le Mans seems very unlikely for Porsche. 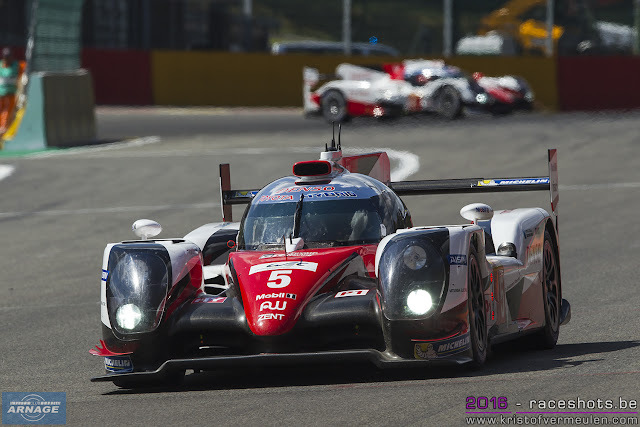 Toyota Gazoo Racing is the second manufacturer in LMP1 and will be out for that long hoped for win at Le Mans. 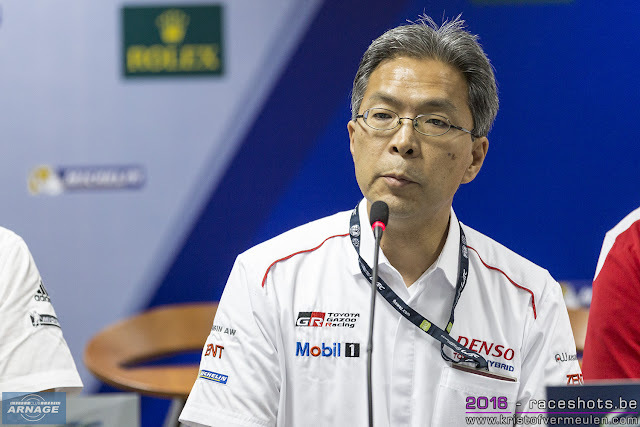 After their heartbraking finish last year, blowing up their victory 5 minutes before the chequered flag, the Japanese team will do everything possible to claim the top step of the podium. A full season FIA WEC effort is expected with 2 highly developed TS050's (or renamed to TS060 ?). Toyota may reshuffle its driver line-ups as rumours about this have been going on for a long time. And then there's the big question: will Toyota race 3 cars at Le Mans, and presumably at Spa and their home race in Fuji ? The presentation of Toyota Gazoo Racing's plans and driver line-ups for 2017 is scheduled for tomorrow morning, ahead of the Le Mans press conference. The new Toyota will be presented to the public on March 31st, just ahead of the FIA WEC prologue in Monza. ByKolles is the only team remaining in the LMP1-L class now since Rebellion decided to focus on the LMP2 class. 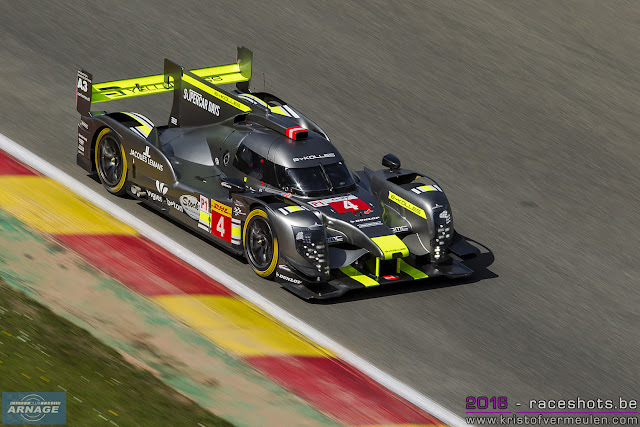 The CLM/P01 will get a significant aero update and most importantly switch to Nismo powered engines. With the use of the former Nissan GT-R LM engine, ByKolles hopes to improve on reliability and speed. As from 2018, the chassis will also be available for customer teams, suited to adapt a customer power source. 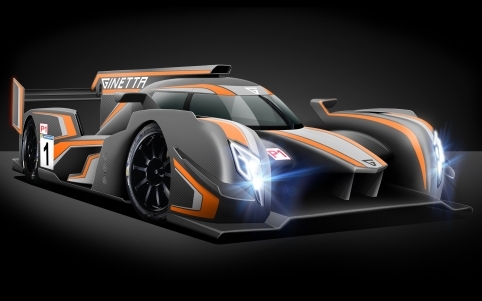 The big news about the LMP1-L class came out last month, when Ginetta announced the development of a new customer LMP1 car. The all new prototype will be designed with the assistance of Adrian Reynard and Paolo Catone (Peugeot - SMP BR01). Mechachrome will develop the engine, a turbo charged V6 which could get around 800 hp. Manor already showed some big interest in the project, and the intention to run a two car effort next year. As announced at Bahrain, SMP Racing will also step up to the LMP1-L class in 2018, with a new BR1 in collaboration with Dallara. At a press conference in Moscow today, the team confirmed that the development of the car is in progress. No decision has been made yet about the engine supplier. 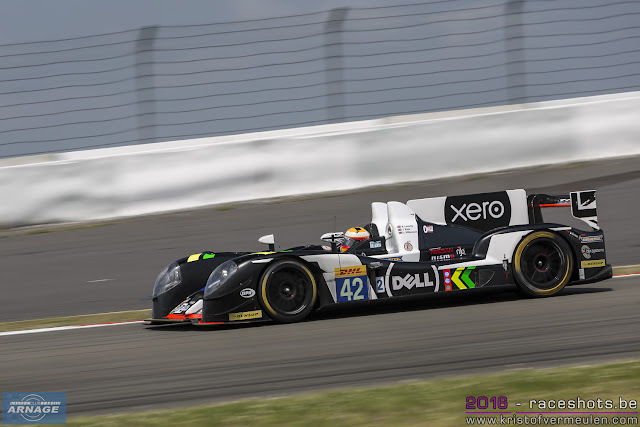 A new era for the LMP2 class with new cars and more powerful engines this season. No more open top prototypes also, all new cars now with a closed chassis and a new Gibson engine. Out of the four selected manufacturers, it seems like Oreca will be the only feeding the class this season. Given the confirmed entries so far and the teams not returning to the FIA WEC, not a single Ligier JSP217 will be on the 2017 grid, unless Jacques Nicolet has something up his sleeve for tomorrow. There's a possibility of a Dallara for KCMG, and it's still unclear in which championship Ben Keating will enter his Riley-Multimatic LMP2 to retain his Le Mans invite. Compared to last season the numbers in LMP2 might well be down to 8 or 9 cars. Several teams seem to be holding back to invest in a new car until it's clear which one of the new LMP2's will have the best package. Signatech Alpine defends its 2016 title in LMP2 and returns with the rebranded Oreca07. Just one driver is confirmed so far, Nicolas Lapierre returning to the French team. Gustavo Menezes has been rated as a Gold driver after last season, so retaining their current line up with Lapierre, Menezes and Richelmi isn't possible anymore. The entry of a second, customer car as with Baxi DC Racing last year is still unclear. Rebellion Racing is entering a new era in 2017, stepping into the LMP2 class. After a long period in LMP1-L, the Swiss team now shifts its focus to the LMP2 class with 2 new Oreca07's. With a very strong driver line-up, and their lengthy experience, this will be one of the 2017 title contenders. The first car will be driven by Nicolas Prost, Bruno Senna and Julien Canal. The second will be in the hands of Mathias Beche, Nelson Piquet Jr and David Heinemeier Hansson. The team will also race in the IMSA North American Endurance Cup with one car. For the first race at Daytona in 2 weeks, they have a stellar driver line up with Neel Jani, Sebastian Buemi, Nick Heidfeld and Stéphane Sarrazin. A new face on the 2017 grid will be French team TDS Racing. After 6 years in the European Le Mans Series, the team led by Xavier Combet and Jacques Morello will move on to FIA WEC for the first time. 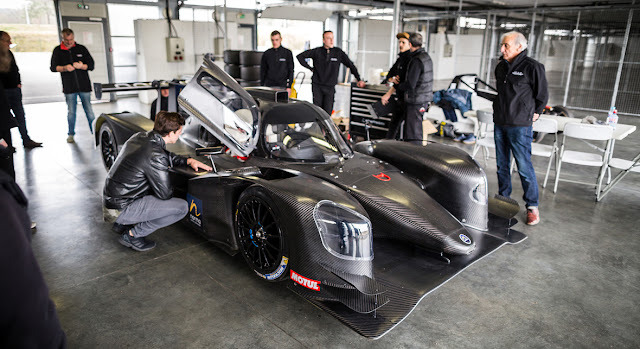 The team will stay faithfull to Oreca and race the new Gibson powered Oreca07. Last year's LMGTE-Am champions François Perrodo and Emmanuel Collard will be behind the the wheel together with Matthieu Vaxivière. Vaxivière has been racing in the Formula Renault 3.5 and its successor Formula V8 in the past years. Manor first entered the 2016 season with one car, but soon added a second one to their line-up. A return to the WEC with one or two Oreca07's seems very likely. No drivers have been known or confirmed so far. The team also already showed his interest in the new Ginetta LMP1 for next season, and is planning to step up to the LMP1-L class as from 2018. Will KCMG return to the LMP2 class after a "sabbatical" last year, when they only raced their Oreca LMP2 in the 24 Hours of Le Mans ? It's been very quiet round the team in the past months, but it wouldn't be a surprise if their name pops up tomorrow. Another possible entry is SMP Racing. The BR01 isn't eligible in the LMP2 class anymore, and the team is focussing in their new entry in LMP1-L next season. 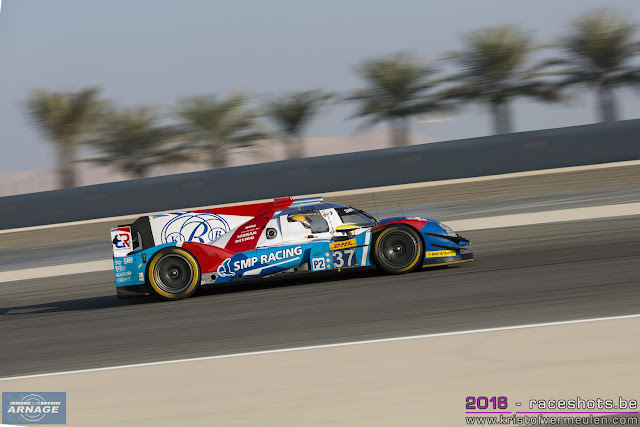 There still might be a chance that we see SMP Racing in either the WEC or ELMS, probably with a Dallara as they are also developing the new BR1 for next season. At their press conference in Moscow yesterday, no plans were layed out (yet), so this one is very uncertain. Despite a very strong first season in the championship, wrapping up 2 wins and coming home second in the championship, RGR Sport won't be on the grid in Silverstone for the first race. A lack of funding has slashed their LMP2 program for 2017. The team might be back in 2018, and doesn't rule out one or more single entries in the WEC. Strakka Racing moves to the Blancpain GT Series with a factory supported 4 car assault. The team not ruling out a return to prototype racing in the future. American team Extreme Speeds Motorsports returns to the IMSA WeatherTech Sportscar Championship where they race a Nissan powered Onroak DPi. Tomorrow afternoon, at an interactive press conference, the selected entries for the 24 Hours of Le Mans, FIA World Endurance Championship and the European Le Mans Series will be announced by the ACO. Time to take a final look at the latest news and rumours about teams participating in the FIA World Endurance Championship. Part 1: LM GTE Pro and Am. 2017 sees the return of Porsche to the GTE Pro class with their brand new - mid-engined - 911 GTE. Porsches new weapon already showed some fierce competition at Daytona last weekend and seems ready to take on the challenge with Ford, Aston Martin and Ferrari. With BMW arriving in 2018 and other manufacturers talking about a possible step up to GTE Pro in the next years, GTE has some very healthy prospects in the future ! Aston Martin Racing will be back to defend their 2016 FIA WEC World champion title. 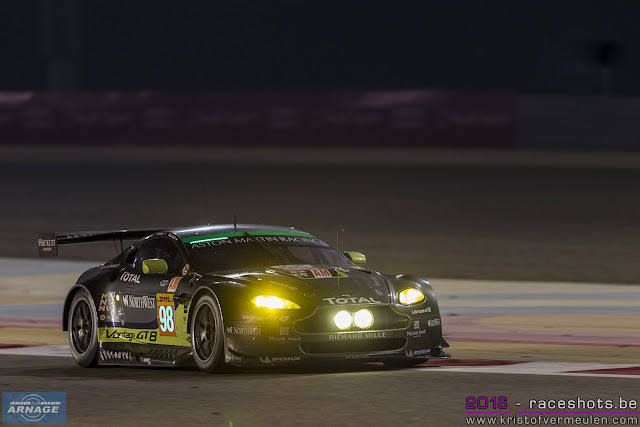 Despite being the "oldest" car on the grid, the # 95 of Nicki Thiim and Marco Sorenson took last years title in Bahrain. Two cars are expected on the grid again, the team most likely retaining the #95 squad, and Darren Turner in the #97. After a one year absence, Porsche returns to the FIA WEC with their all new - and mid-engined - 911 RSR. The first mid-engined Porsche racecar since the GT1 in the late nineties. Drivers confirmed so far for LMGTE Pro class are Michael Christensen, Frédéric Makowiecki and Richard Lietz. The final driver for a full season effort is still to be announced, Porsche has several options open after their driver shake up in LMP1. Another name that has been buzzing around in the past months is current Ferrari factory driver Gianmaria Bruni. For the Le Mans 24 Hours, 2 drivers of the IMSA line-up will be added. We expect Laurens Vanthoor to get one of those seats. make the move to Porsche ? Ford returns to the WEC with a two car effort run by Ford Chip Ganassi Racing. In their comeback season the new Ford GT immediately won its class at Le Mans, Fuji and Shanghai. No driver changes are expected in both cars. Stefan Mücke & Olivier Pla are expected in the #66 and Andy Priaulx & Harry Tincknell in the #67. The Am class will look a little different compared to last year. 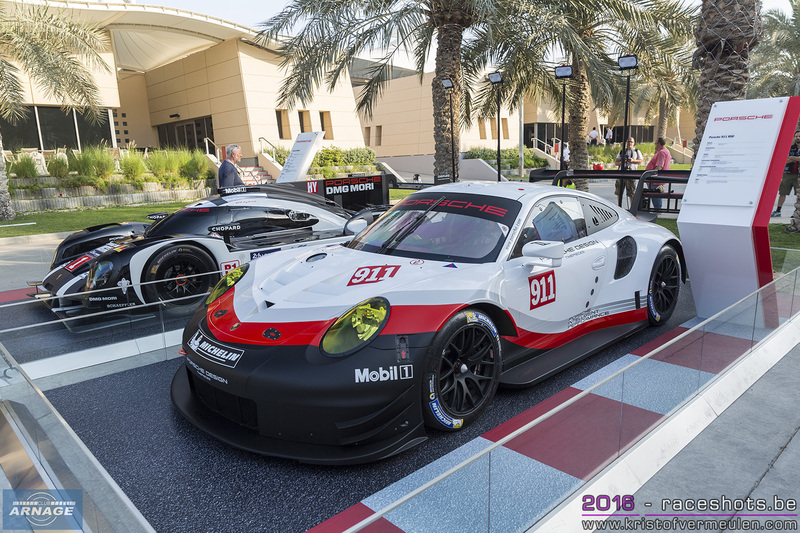 It's still unclear if we'll see any Porsches in the class this season without Al Qubaisi around and doubts about Proton Competition entering a Porsche. Clearwater Racing is the "new kid in town". The Malaysian based team debuted at Le Mans last year and now steps up from the Asian Le Mans Series to the FIA WEC in 2017. The first team in the Am class to confirm their entry was Aston Martin Racing, with Paul Dalla Lana returning in the Vantage V8 with Matthias Lauda and Pedro Lamy. The Ferrari F488 GTE is now eligible to race in the AM class, 2 cars have already been confirmed by AF Corse. Last years LMGTE-Am champions François Perrodo and Emmanuel Collard are moving up to LMP2 with TDS-Racing, leaving 2 seats open for the first car. Rui Aguas is expected to return behind the wheel of the Ferrari. Clearwater Racing announced its move to the FIA World Endurance Championship in the GTE-Am class. The Signapore based team is racing in the Asian Le Mans Series and made its debut at Le Mans last year, finishing fourth in class. Their Ferrari F488 GTE will be run by AF Corse and driven by Matt Griffin, Wok Meng Sun and Keita Sawa. Clearwater will be the first southeast Asian team to enter the FIA WEC for a full season effort. Gulf Racing UK hasn't confirmed their entry yet, but it seems likely the British team will return in their Porsche 911 GTE. Whether Proton Competition will be back on the grid in April still remains to be seen. They were best in class twice last year, but with the arrival of the new Ferrari's in the Am class, the Porsches might be in for a big struggle to be competitive. No Khaled Al Qubaisi at the start of the WEC season this year. 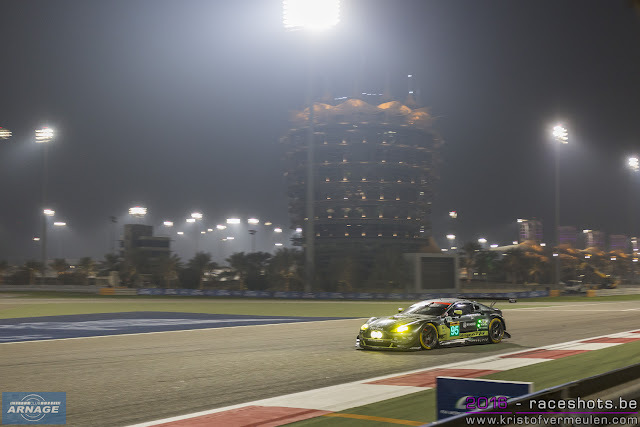 At the Dubai 24 Hours, Al Qubaisi - who tested the Aston Martin in Bahrain last november - announced he won't enter the World Endurance Championship this year due to business commitments.